Aurelien is CEO of Gatecoin – the cryptocurrency exchange based in Hong Kong. Q: Hi Aurelien! Can you tell us about yourself and what you're working on? 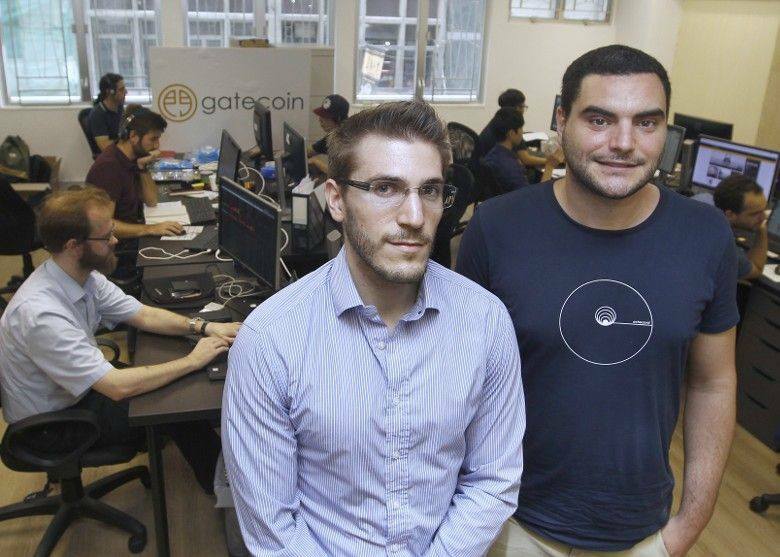 So I am the founder and CEO of Gatecoin, a cryptocurrency and blockchain token exchange headquartered in Hong Kong. After a short career in investment banking, I founded the company in 2013 and worked with a small team to launch the trading platform in January 2015. I was following bitcoin from 2011 and while working as an investment banker in Hong Kong I saw the need to create a regulator and bank-friendly exchange. So eventually I quit my comfortable job as a banker to develop what is now Gatecoin. I am originally from a region close to Paris in France. I studied engineering and management at university, during which I conducted several internships at major investment banks including Credit Agricole and BNP Paribas in Paris and J.P. Morgan in London. When I finished my master degrees I was hired by the French investment bank Societe Generale to work on M&A deals in Paris and was eventually transferred to Hong Kong. Naturally, as a tech geek working in finance, I was drawn to bitcoin and the concept of blockchain technologies. The more I dug into the space, the more I knew I wanted to focus on this full time and eventually decided to create my own exchange. I chose to start the business in Hong Kong, firstly, as I was living here, and also because Hong Kong is the gateway to China – the largest speculative crypto market at the time (2013) and is also close to Southeast Asia, which promised a lot of potential as a market for bitcoin or blockchain based remittance services. Q: How many people are on the team? We are now at 25 full time employees and 15 part-time employees in Hong Kong. I’m proud to have built such an international team with 12 nationalities speaking 9 languages. Our full-time employees are almost split 50:50 between engineering and business whereas the part-time employees are contributing to our customer support and compliance teams. We have attracted talents from a variety of backgrounds including traditional financial services, strategy consulting, open source software development and even from other cryptocurrency firms. Q: Could you please describe the altcoin addition process? Is it difficult to add a new coin/token to be traded? Gatecoin was among the first exchanges in the world to list ICO tokens. These have mostly been ERC20 standard ethereum tokens. The nature of these tokens has changed over the last two years, shifting from mostly utility tokens to hybrid-security-like assets and so regulators have begun to weigh into the legal status of tokens and their secondary market trading. Therefore we conduct a large amount of due diligence on any new token that we decide to list on our exchange. Gatecoin was among the first exchanges in the world to list ICO tokens. This due diligence process also applies to projects that wish to use Gatecoin as a fundraising partner as we were also among the first exchanges to underwrite token pre-sales and public sales (ICOs). Before we decide to support a new token or cryptocurrency we look at several key criteria. First of all the quality of the team or community (in the case of previously launched open-source projects) behind the token or cryptocurrency is very important. Secondly, the supporting documentation such as the technical whitepapers, the legal opinions from qualified lawyers and the details about the token’s economics are assessed by our team. We then also require evidence of a token smart contract security audit, preferably by more than one external third party. Market sentiment or traction if the coin is already listed elsewhere is another major factor that we examine. Of course, there are other elements that are important for our team, but these are the main ones. Q: What are the biggest problems you've faced since Gatecoin start? Well there is no doubt that the hack we experienced early last year was the worst challenge we have had to face. Not only were client funds stolen, but it has also taken us much longer than we expected to repay our clients as we made a commitment to do so. This had a massive impact on our business, we had to fire half the engineering team, go offline for a few months and worked hard to remerge from scratch, rebuild the team and the business. That being said, we could have just declared bankruptcy and moved on. Instead, we kept going, found some funding to let us stay operational and managed to turn the business around back to a point of profitability. The next major challenge that we are still facing is the instability of banking relations in Hong Kong. Although we have several bank accounts in Europe and good relationships with those partners, in Hong Kong we have opened more than nine bank accounts in our four and a half year history and have had all of them frozen or shut down. In the latest episode, we even had two back-up bank accounts which were also shut down. This also resulted in a major hit to our business given that HKD and USD trading pairs were among the highest during the most recent bank account shutdowns. This also happened just before the latest Bitcoin and ether rallies, and during a period where we were seeing record volumes on our exchange and a tripling of our client base over a two month period. Luckily we have several solutions in the pipeline and this issue should be resolved next year, ironically not from banking partners based in Hong Kong. Q: Gatecoin has been founded in 2013 but still has comparatively low volume and traffic. Why? Well, as explained above, since our recent bank account closures in Hong Kong we’ve seen a dramatic downturn in volumes. Prior to this, we recorded daily trading volumes above USD 20 million per day. 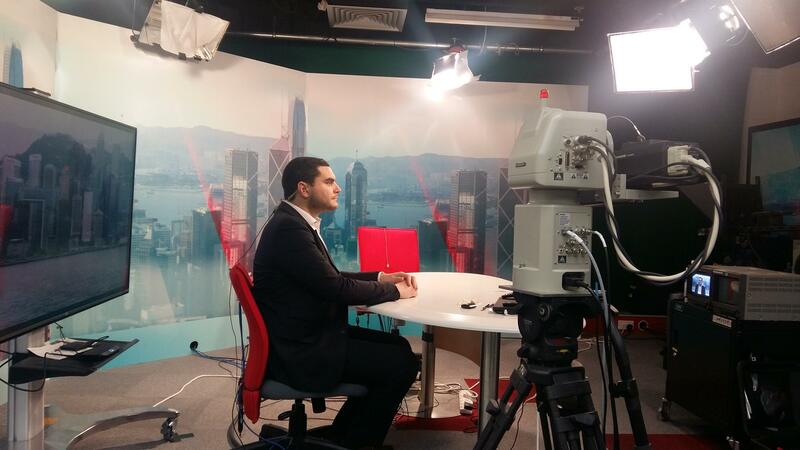 We hope that when our HKD and USD transfers are resolved that we can very quickly regain and surpass these volumes. We already have some external makers and high volume traders eager to work with us at that time. Q: What do Gatecoin do to secure funds of the users? 95% of client funds are stored offline in segregated multi-signature wallets. Given our experience with the hack, we also encourage our users to store their funds offline in a hardware wallet such as the Ledger Nano S or Trezor. On the team we now have several dedicated systems and security engineers focussed purely on security and infrastructure monitoring. Q: What was the most valuable lesson that you have learned while working on the app? Employees are always the most valuable asset of a company. In the end, you pay for what you get, but money is not everything. It is very important to have clear vision of the profile you need for the role you want to fill, but more importantly, it is critical to have a long-term vision of the potential development of that new employee within the firm, and to keep track of the progress of that employee to build the most relevant career path for him or her. Employees are always the most valuable asset of a company. You have to always keep in mind three essential factors: what you need, what the employee can do, and what he or she wants to do; and from there you need to find the optimum for both parties. Q: Who or what motivated you to join the cryptocurrency world? My original career ambition was to work in investment banking and then transition into venture capital to gain a more entrepreneurial experience and from there, switch to entrepreneurship. Since I was aware of the potential of digital currencies and I saw it starting to become a real market, I decided to take the risk to skip a few steps in order to not miss the train. Q: Mention 3 cryptocurrency-related links. The Age of Cryptocurrency – a great book to learn about the origins of bitcoin and the people behind building the ecosystem in the early days. Blockfolio – a fantastic way to keep track of your crypto-asset portfolio, very useful app – just don’t check it throughout the day otherwise you might do damage to your blood pressure. Ledger Nano S – a game changer in terms of security and user-friendliness. I also recommend Cryptosteel for its backup. Q: What future of the blockchain technology and Bitcoin do you predict? Blockchain technology is disrupting the way we exchange information, and it is going to be everywhere: real estate, accounting, hosting, and financial services obviously. Overall, it is a new internet that is being built, that will be more decentralized and more disintermediated. In the financial industry, we are to see more and more implementations improving current infrastructure, but we are also to see emerging solutions replacing former infrastructures and players. Existing asset classes are also to be accounted and transferred on the blockchain. It seems obvious to me that the ICO market to get more rational and regulated, in order to become an intermediary layer between private and public equities. Digital assets like bitcoin or ethereum already represent a totally new asset class, or even different new asset classes in themselves. Last but not least, we are to see central bank issued digital currencies soon, but more importantly, we should see community-based currencies gaining more and more importance. You can visit my LinkedIn profile and our blog, or check out some of my other interviews online. Thanks for the interview, Aurelien. Wish your team the best of luck! This was a great interview, Alexander. It’s always nice to hear from people like Aurelien who are experts. I can’t believe his team is so diverse: 12 nationalities sounds insane considering the team has 38 members! He said a very true thing (referring to blockchain technology) “it is a new internet that is being built, that will be more decentralized and more disintermediated” – I agree. We are going to soon feel this in everything around us as the way we exchange information changes. I haven’t yet tested the Ledger Nano S but I now have another reason to do so 😉 since he recommended it. Didn’t read the book he mentioned but it’s on my to-read list for next month. Aurelien! the most difficult stage in the developemt of a crypto is the security, and you must have focused on security all in all it was one of the most amazing startup interview I have ever read.